This extremely stylish mirror has been made to our specifications. The large round bevelled glass mirror drops into a veneered wooden cradle the back of which is screwed onto the wall. 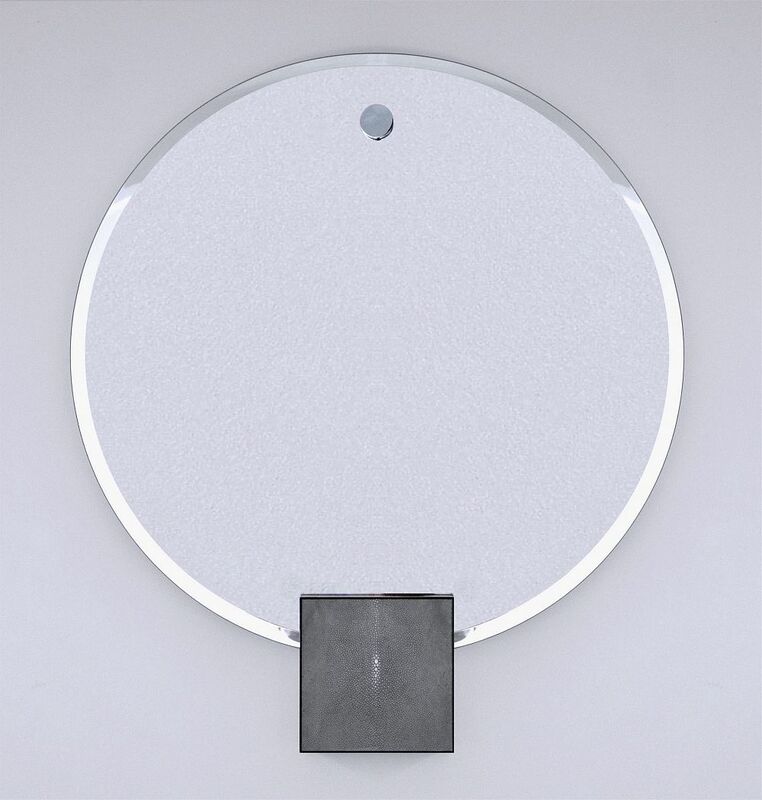 Towards the top of the mirror is a chrome flat disc that screws through the mirror into the cradle behind to provide additional support. The front of the cradle extends below the mirror and is a flat square the front of which is covered in shagreen and the sides of which had been veneered in macassar ebony. This is a very simple yet stylish look for any home.